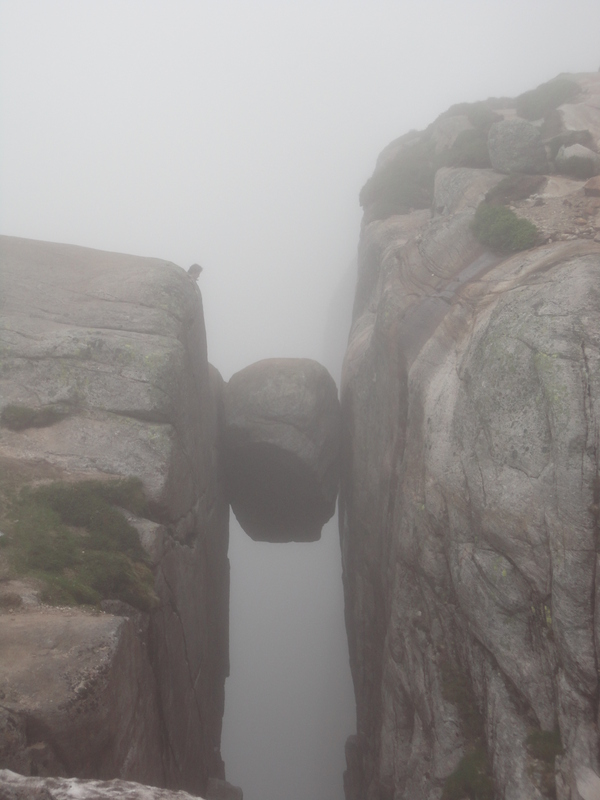 Kjerag, the boulder hanging in the fjord! 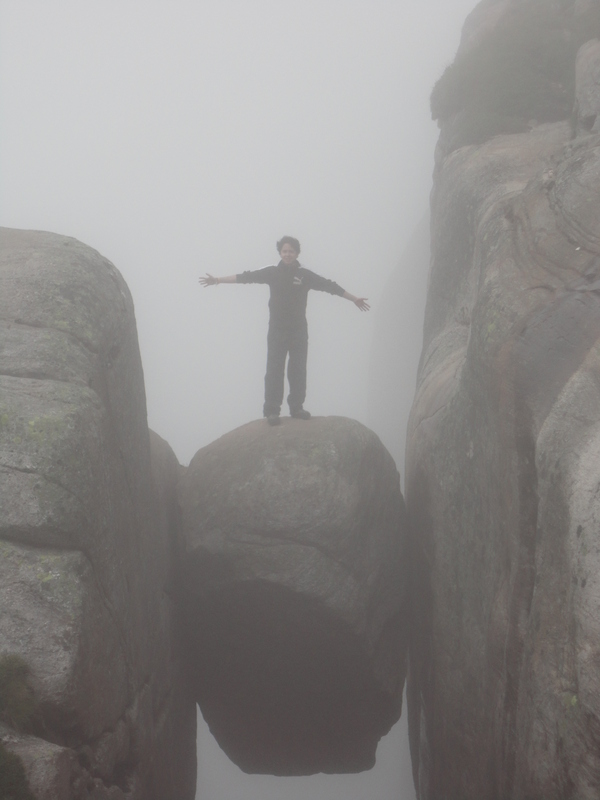 One of the things that everyone should have scratched out from their bucket list is definitely to stand on top of the Kjerag Boulder. The facts: Kjerag is a mountain located almost at the end of the majestic Lysefjord, one of the most famous fjords in Norway. Up there you will find the Kjerag boulder (Kjeragbolten in Norwegian), hanging 1.000 meters above the fjord. 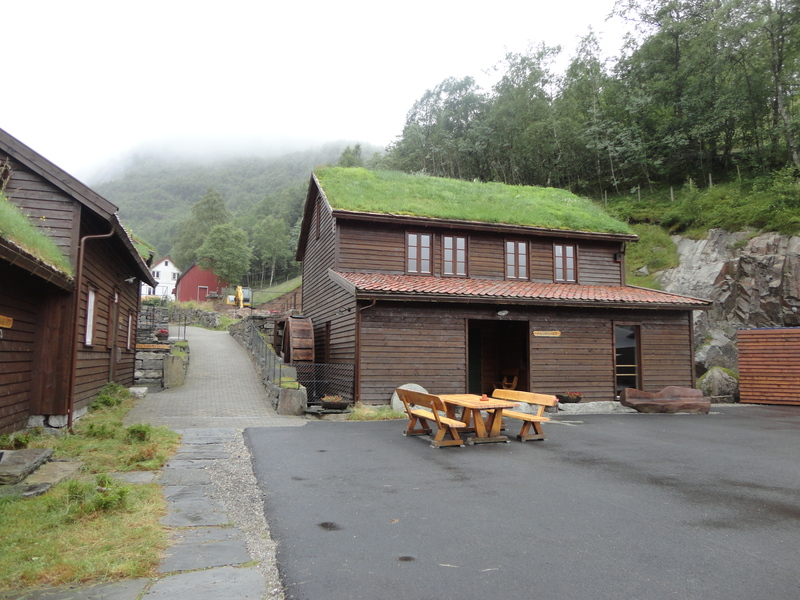 The hike starts at Øygardstøl, a place up in the mountains accessible only during the summer months, due to snow. You could either drive there with your own car, or to take a bus from Stavanger with Tide Reiser. Since I don’t have a car, I took the bus at 07:30 from the boat terminal. My companions were two of my Norwegian friends, Nina, who is my classmate at school and my colleague at work, and Lisa, one of Nina’s best friends. The bus ride was definitely one of the high-points during this trip. The way there can describe perfectly how the Norwegian countryside is (although, Norway doesn’t really have big cities, so it doesn’t really take long to be on the countryside here). 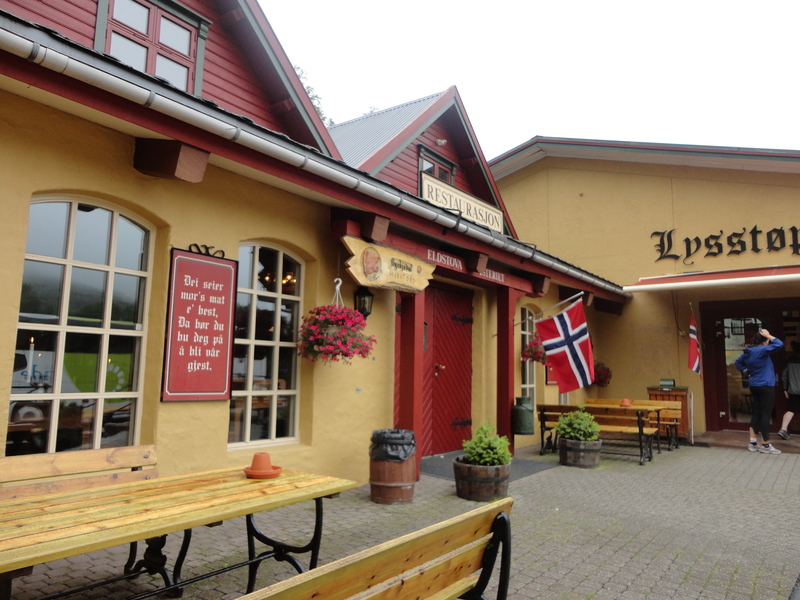 We had a short stop at Byrkjedal, a place which can easily be described as typical Norwegian. There we could find a really big candle shop, and a very cozy cafe/restaurant. They also have cozy cottages where you could stay at night. The way there was foggy, which in my point of view only made the trip more mystic. 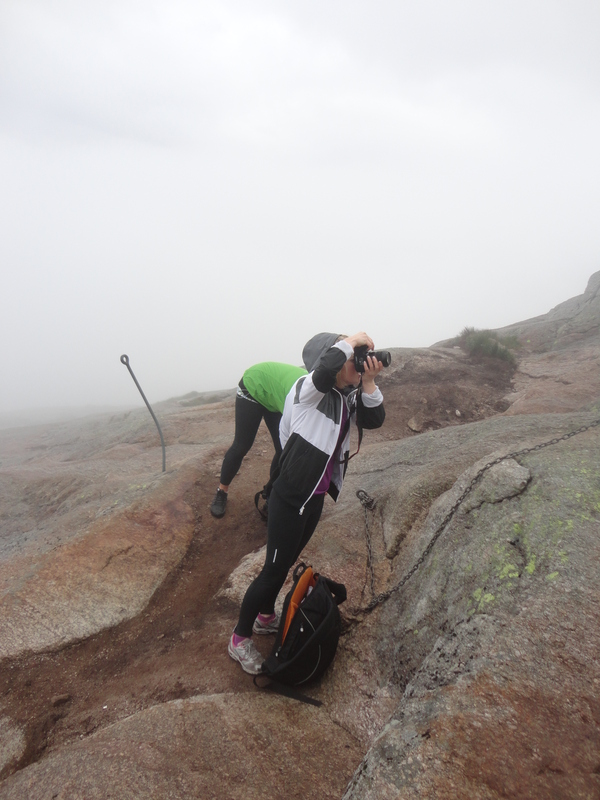 Yeah, we might not be able to see anything from the top, but it kind of went well with the landscape. At around 10:30, we got to Øygardstøl, and we began the hike up. Since I was with two Norwegians, I was kind of worried of not being able to keeping up with them; Norwegians are probably the best hikers in the world, they’ve been doing it all their life! Every Norwegian I’ve been hiking with, is very good at doing it. They just continue walking, and they do it fast! After a couple of minutes, I was already regretting of not going to the gym more often. Of course I did not asked to go slower, even though I wanted to. The way to the Kjeragbolten is not only uphill, but downhill as well. That is why it takes around 2,5 hours to go up, and the same to come down. We even got lost for a while, even if the track is well marked to the top. But then of course, since we were keeping the “Norwegian tempo”, we got to the top as planned even if we got deviated for about 30 minutes. When I saw the boulder, I was really intimidated. 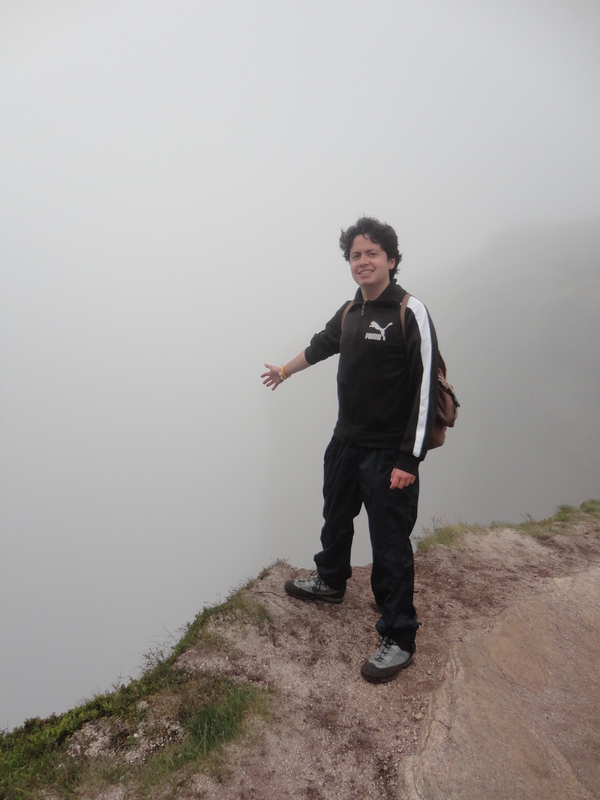 I’m not particularly afraid of heights, but knowing that beneath awaits a fall of 1.000 meters, really got me thinking about if I should stand on it. I knew I was going to regret if I didn’t do it, but then again, if an accident would be to happen, I would also regret for trying (but only for about 30 seconds or so, if you know why). I decided not to do it, but right after we were going to go back, I decided to just go up there, don’t think too much, and just take the step. Which was just what I did! You can’t see it from here, but my legs were trembling! The only thought that I had while being on the rock, was to don’t look down, which was of course what I did. The few seconds I was up there, seemed like an eternity. But hey, now I can tell you that I did it, and now I’m writing about it. What are you waiting to do it?